"By irreducibly complex I mean a single system composed of several well-matched, interacting parts that contribute to the basic function, wherein the removal of any one of the parts causes the system to effectively cease functioning… An irreducibly complex biological system, if there is such a thing, would be a powerful challenge to Darwinian evolution." While gradualism is conceptually possible in some instances, it is impossible in many others. The gradual improvement resulting in a lion evolving from a small cat is simple to understand. The larger and more powerful the animal, the greater the likelihood of survival and reproduction. However, such a concept cannot be realistically extended to other phenomena in nature. The venomous sting of a bee, its ability to fly and hover, and the complex behavioral changes involved in producing honey and the social integration necessary for a functioning hive are not explicable in terms of one mutation after another. The only conceivable pathway for such gradualistic evolution would require that whatever force was driving such transmutation would direct changes toward a distant target, which would require intelligence. This is because the creation of such an integrated system requires multiple functioning interdependent parts. Although many irreducibly complex systems exist, evolutionists have misrepresented this challenge and have contrived pathways that they believe answer this challenge. I have attempted to clarify Dr. Behe’s contention and refer to this obstacle as the co-evolution of complex integrated parts. Because evolutionists freely invoke vast improbabilities, challenges of irreducible complexity are answered through very implausible pathways which would require many extremely complex genetic code sequences to appear together in a coordinated fashion. Evolutionists have proposed pathways of functional continuity with all of these interacting parts. Such proposals are outlandish, because they all require mathematically impossible events. The probability of mutations acting on a genetic code to result in multiple, functionally interactive components cannot be considered as remotely possible. The Mantis shrimp, an inhabitant of Indo-Pacific coral reefs, delivers the fastest punch of any animal. Some species are equipped with club-shaped hinged appendages which can accelerate more than 10,000 times greater than gravity, achieving the speed of a .22 caliber bullet. Underwater, the acceleration of the punch is so great that the water boils in front of the accelerating club, resulting in a flash of light. A split second before impact, a burst of energy is created resulting in a temperature spike of 7,000 degrees Celsius, similar to the heat on the surface of the sun. Some specimens have been known to break aquarium glass. This weaponry is effective in shattering the shells of prey including large crabs, rock oysters, and other shellfish. Engineers from the University of California have studied the construction of the clubs of the mantis shrimp in order to gain insights as to how the clubs can repeatedly deliver such powerful blows without damaging the clubs themselves. These studies have been prompted by the goal of developing a new generation of lightweight armor. In evaluating the structure of the clubs by electron microscopy, it has been discovered that the clubs are composed of columns of hydroxyapatite fibers (the component of human bones), oriented perpendicular to the surface of the clubs for maximum compression strength. Beneath the surface, stacked layers of parallel chitin fibers form the bulk of the club, acting as a shock absorber. Each layer is slightly rotated relative to the layer below it, forming a helical structure. (see above, right) Minerals are deposited between the fibers to enhance compression strength. The entire structure is wrapped by a compressing layer of chitin, which functions similar to the taping of a boxer's fists. The unique helical microscopic configuration functions to prevent the spread of cracks, and the chitinous covering compresses the fibers which further retards the spread of cracks. Because of this ingenious microscopic architecture, the club exhibits remarkable impact resistance in its capacity to deliver repeated blows to prey without causing injury to the clubs. Such an adaptation is, in the mind of those committed to evolution, simple to imagine. A hard, fast-moving club enhances survival. The club is viewed as a thickened modified structure that could easily be created gradually over time, given the pressure to survive. However, realistic consideration of such a transformation reveals insurmountable probability obstacles. The capacity of a club, weighing a fraction of an ounce, to accelerate from a distance of less than one inch to being capable of shattering the thick arched shell of a clam is a seemingly impossible engineering marvel. In addition to the change in shape of the clubs, specific complex alterations in the microscopic structure of the clubs would be required to enable the appendage to withstand repeated impact. Changes in the structure of the limb joints would also be necessary for the same reason, as well as fundamental changes in neuromuscular mechanisms to enable the speed of the thrusts. Additionally, sophisticated behavioral instincts would need to evolve to enable the creature to effectively utilize the acquired weaponry. 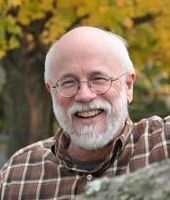 In describing the evolutionary barrier of irreducible complexity, Dr. Behe compared an irreducible complex system to a spring-powered mousetrap. Because of its several interactive parts, such a device would require intelligent design to create. It could not be created one tiny step at a time unless an end goal were fixed, because intermediate iterations would be functionless. 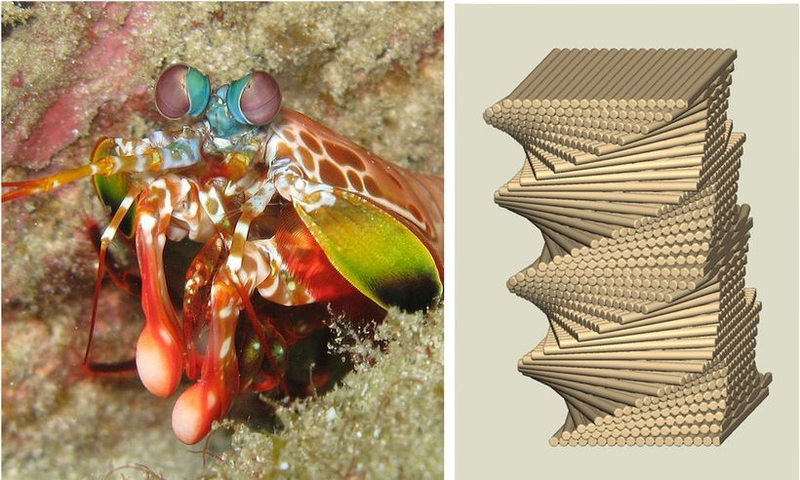 Mechanical analysis of the weaponry of the mantis shrimp has revealed an ingenious method of energy storage (including a biological spring mechanism) to allow for the acceleration of the clubs that would not otherwise be possible. The joint anatomy has been altered by reorganization of architecture and implementation of a multi-faceted mechanical system that integrates latches, linkages, and lever arms. It is powered through several sites of energy storage. * In this manner, analogous to a mousetrap, energy is stored and then suddenly released, allowing the creature to achieve speeds and force far beyond what would otherwise be possible within biological systems. 1.Complex micro-helical microscopic architecture of club-shaped appendages formed of stacked parallel hydroxyapatite crystals. This is essential to maintain the integrity of the clubs after delivering repeated blows to its prey. 2. Biological spring mechanism in clubs, including multi-faceted system of integrated latches, linkages and lever arms. 3. Multiple sites of energy storage to effectuate spring mechanism. 4. Complex instinctive behavioral changes required to utilize acquired weaponry. 5. Restructuring of joint anatomy to withstand repeated blows of the appendages. The system would not function if any of these elements failed to evolve. Early incompletely developed iterations would be nonfunctional. Hence, it is an irreducible complex system. In speculating on the evolution of the clubs of the mantis shrimp, it is imagined that an incrementally perfected weapon would impart an ever-increasing likelihood of survival. A serious challenge to any proposed gradualistic model of evolution of such a club is the conceptual impossibility of enhanced survival advantages in earlier stages, even if such a device could evolve one step at a time. A club would be useless unless it could be driven with enough force to shatter a shell. Only when a critical speed and force of the club were achieved, which would have required great complexity, could such a structure even begin to have been preserved by natural selection. Thus, for evolution to create such sophisticated weaponry, an end goal appears to have been necessary. The irreducible complexity of the Mantis shrimp's weaponry is not an isolated example. It serves to illustrate a mechanism that is understandable for those who lack a background in biological sciences. In reality, the whole of nature exhibits a similar degree of irreducible complexity. Irreducible complexity is commonly presented by evolutionists as a failed challenge. This is because vast improbabilities are freely invoked to explain the existence of complex interacting parts. The weaponry of the mantis shrimp could not have been created through mechanisms of evolution, because too many very improbable mutations would have had to coincidentally appear in a step-wise, coordinated fashion. To create the functional weaponry of the mantis shrimp, multiple separate modifications would have needed to co-evolve together. These would require separate complex modifications of genetic code to appear through random mutations. A frequently cited example of irreducible complexity is the vertebrate eye. The human eye is equipped with numerous interdependent elements, among which is a focusing lens. While it is possible to demonstrate that a lens precursor could exist, such a structure would initially be useless. 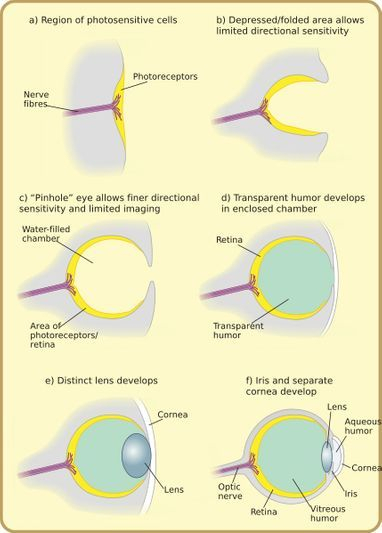 Even if a lens should fortuitously develop in its fully developed form, it would require suspensory ligaments for focusing, which require complex neural pathways for control of the shape of the lens in response to changes in distances that light travels from the visualized object to the retina. All of these interacting parts would have to evolve into existence in a coordinated fashion. Otherwise the lens could not function and therefore could not have been favored by natural selection. A non-functioning lens would, in fact, obstruct vision. Nerve receptors including millions of rods and cones in the retina must develop to receive and transmit signals. Without these, the rest of the evolving eye would not function. An optic nerve would need to develop to transmit those signals to the brain. The iris would need to spontaneously develop, with associated complex neural pathways to control the aperture size in response to the amount of light entering the pupil. The brain had to evolve a method of integration of two separate images and the ability to perceive a single 3D image. A self-cleaning system needed to develop in the form of tear glands and ducts. Specialized fluids with specific complex biochemical compositions would have needed to evolve to occupy the chambers of the eye, all necessary for vision. The eyelid needed to develop, along with rapid twitch muscles to control it. Nerves needed to be in place to control the muscles. Sensors in the eyelids needed to appear, so that the eyelids would blink when necessary. Muscles external to the eye are provided to control eye movement. A transparent cornea had to develop to transmit light and protect the eye. A mucous membrane (conjunctiva) was required to protect the cornea and eyelid. Without these, the eye could not function. The skull needed to modify its shape so that a concavity would develop to protect the eye. Holes would have needed to appear in the proper places to allow transit of vessels and nerves to the eye. What I've described is a very simple overview of the basic function of the enormously complex eye. In this example, I've listed at least twelve separate interacting components, all essential for vision. Should any of these entities have failed to appear by chance, the evolution of the eye would have failed. Although the eye is irreducibly complex, the greatest obstacle to eye evolution is the co-evolution of complex integrated parts. Because evolutionists freely invoke vast improbabilities, challenges of irreducible complexity are answered through very implausible pathways which would require many extremely complex genetic code sequences to appear together in a coordinated fashion. The complexity of the eye is truly a wonder of nature. Its sophistication far exceeds anything produced by the intelligence of man. Complex biochemical reactions occur to enable photoreceptor cells to detect and transmit signals. It is now understood that the retina is equipped with about 10 million light sensitive photoreceptor cells which transmit binary code to the occipital lobes of the brain via 50,000 nerve cells forming each optic nerve. It is beyond current scientific understanding how this translation into a binary code is accomplished. * We also know that the speed at which the retina processes signals exceeds that of the fastest supercomputers. The mechanisms of this integration are poorly understood. How the brain forms visual images from binary code is a mystery. "...it is a considerable strain on one's credulity to assume that finely balanced systems such as certain sense organs (the eye of vertebrates, or the bird's feather) could be improved by random mutations." Despite these profound complexities, evolutionists believe that random mutations in genetic code produced such an intricate sensory organ, and that such a process repeated itself multiple independent times over the earth's history. In attempting to explain the great complexities of nature, the evolutionist imagines that a process such as vision is sufficiently simple to occur within the reach of chance. Such a proposal begins with a “simple light sensitive spot” in the skin, which enabled a hypothetical primitive ancestor to avoid predation and perhaps obtain food. Random mutations eventually resulted in invagination of the patch, providing the creature with an ever-increasing sharpness of light perception. Simultaneously, the opening of the cup-like structure became progressively smaller, forming a stricture or “aperture” for light to enter, analogous to a non-focusing camera. Eventually, the light-sensitive spot evolved into a retina. Gradually, a lens formed beginning as a simple fluid-filled sac. An iris later “appeared" to function in controlling the amount of light entering through the orifice. A transparent cornea also developed. This proposal is deemed plausible because each step would have been functionally superior to the previous. The irreducible complexity of the eye is recognized in the first proposed step of eye evolution. Of note is the fact that the evolutionist begins with a “simple light-sensitive spot”, as if such a complexity is easily formed by chance. One cannot explain irreducible complexity by beginning with the sudden appearance of an irreducibly complex element. A functional photoreceptive spot is itself composed of complex interacting parts. If a mutation produced light-sensitive cells, other mutations would have been required to produce a nerve that transmitted the signal to the brain. Light sensitive cells in and of themselves would have been useless. Other specific mutations would have been required to enable the brain to interpret the signals. Additional mutations would have been required to result in behavioral changes to direct the organism to react appropriately to signals produced by the primitive organ of vision. Each of these mutations would have required specific changes of multiple sequences of genetic code, and each of these mutations would be extremely improbable. The suggestion that all three of such mutations could have occurred simultaneously cannot be considered as possible. Although the eye is irreducibly complex, the greatest obstacle to eye evolution is the co-evolution of complex integrated parts. Because evolutionists freely invoke vast improbabilities, challenges of irreducible complexity are answered through very implausible pathways which would require many extremely complex genetic code sequences to appear together in a coordinated fashion. Evolutionists have proposed pathways of functional continuity with all of these interacting parts. Such proposals are outlandish, because they all require mathematically impossible events. The probability of mutations acting on a genetic code to result in multiple, functionally interactive components cannot be considered as remotely possible. The conjectures of eye evolution so commonly proliferated in biology textbooks consider only external morphology of a fully differentiated eye. Such simplistic proposals cannot be extended to the genetic code that directs the development of the eye. In a developing embryo, the eye is formed from three separate germ cell layers, acted on by different sets of genetic instructions. This clearly indicates a planned, purposeful creation and assembly. It is further imagined that a gradually invaginating light-sensitive spot is the result of variations of offspring, and that such variations are sufficiently common to allow natural selection to favor those changes. 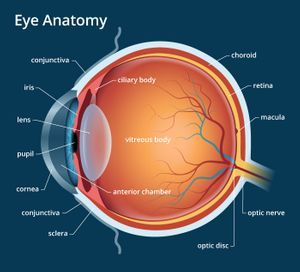 When Darwin first proposed the evolution of the eye, the level of complexity of the eye was not remotely understood as it is today. The diagrams of eye evolution so freely proliferated in biology curricula are smokescreens. Irreducibly complex biochemical pathways of vision, which interface with mechanisms of translation of binary code, are all necessary for vison. The complex integration of these photoreceptor and biochemical systems are too sophisticated for most to even understand. Nevertheless, professors of evolutionary biology persist in presenting childish caricatures of biologic reality. If the obstacles were plainly acknowledged with a proper degree of skepticism, the acceptance of such conjectures would be unthinkable. Evolutionary biologists reject the argument of irreducible complexity in general, and specifically address the evolution of the eye with simplistic explanations that do not actually address the barrier of irreducible complexity. They cite as evidence the existence of eyes in various stages of complexity found in lower forms of life such as mollusks. They believe that genetic and comparative anatomical evidence supports their claim that eyes evolved from a common ancestor. By pointing out these gradations of complexity, an attempt is made to appeal to the skeptic's imagination, rather than to directly address the challenges to gradualism. The pointing out of morphologic, biochemical, and genetic similarities is made, suggesting a hypothetical functional continuum between various versions of eye anatomy. This observation is only an extension of homology and entirely evades the question as to how an irreducibly complex organ could evolve into existence. Darwin believed that if one can point to various gradations of an organ in nature, such an observation proved the plausibility of gradualistic evolution. This identical logic persists among evolutionary biologists today, without logical justification. Varying levels of complexity are documented, and a hypothetical pathway of descent is contrived. However, such proposals do not address the barriers to irreducible complexity. In the case of the eye, the pathway of descent begins with an irreducibly complex system (light-sensitive spot) and proceeds down an imaginary pathway, which requires the appearance of innumerable very improbable mutations, the likeness of which have never been observed. The obstacle of irreducible complexity is commonly portrayed to represent very few mysteries that science cannot explain. Since evolution is claimed to be supported by massive evidence, skeptics are urged to dismiss theoretical impossibilities on the grounds that science accepts many mysteries. In reality, the problem of irreducible complexity is evident in almost all proposed mechanisms of evolution when carefully analyzed. Virtually all major imagined evolutionary pathways require the simultaneous appearance of more than one highly unlikely mutation to appear together in order for such an organism to function. The literature is replete with imaginative stories as to how complexities are believed to have evolved. All conjectures require the appearance of innumerable improbable mutations coincidentally appearing to result in functioning interacting parts. Even such seemingly "simple" phenomena such as the colorful plumage of male birds to attract a mate involve irreducibly complex systems. Colors as well as feather structure to display those colors would have needed to simultaneously co-evolve, along with behavioral changes in both male and female of the species. 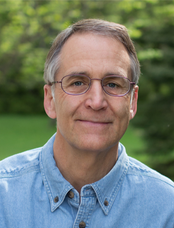 Renowned geneticist Dr. J. C. Sanford noted that all life at a molecular level is irreducibly complex. "...Life itself is the very essence of irreducible complexity, which is why we cannot even begin to think of creating life ourselves. Life is layer upon layer of irreducible complexity. Our best biochemical flow charts, of which we are so proud, are just childish cartoons of true biological complexity..."
In my view, the most profound example of irreducible complexity in nature is single cell life. Based on all that is known through experimentation, single cell life cannot be reduced to any simpler self-replicating entities. The obstacle of irreducible complexity has been declared “answered” by intellectuals who utilize perverted logic. The fallacious "argument from incredulity" is a commonly employed retort to the challenges of irreducible complexity. The declared refutation of the irreducible complexity obstacle has become so entrenched in evolutionary dogma that it has become incumbent upon anyone posing such a challenge to prove that a complexity of nature is irreducibly complex. In other words, evolution is assumed to have the capacity to create any complexity, freely relying on great improbabilities, unless the skeptic can disprove it. Such rationale is, of course, contrary to basic scientific logic. The proponent of any theory is required to prove it. If he cannot prove it, then at a minimum he should supply a plausible explanation as to why it should be accepted. It is nevertheless assumed that even if one cannot imagine a pathway to complexity, the correct mutations will eventually appear, resulting in increasing functionality, provided that millions of years are factored in. It is impossible for evolution to create an irreducibly complex system because independent elements that interact with each other would have to co-evolve in a coordinated fashion. This is mathematically impossible in the same sense that one cannot flip a coin and achieve 100 heads in a row. However, evolutionists are accustomed to invoking extreme improbabilities for their proposals, because of the hope that millions of years can create anything. A few examples of irreducible complexity have been addressed by the establishment of evolutionary biologists. The bacterial flagellum, the coagulation cascade, the toxins produced by the bombardier beetle and the complex eye are the most cited examples. Evolutionists declare that these challenges have been answered, and have concluded that no more challenges can be given. A scientific consensus is reached not when authoritative bodies make declarations.